In some ways, Jacqueline Richard Nalls was the healthiest she’d ever been. Nearing age 50 and a smoker for more than three decades, she finally decided to make a change. “I had borderline high blood pressure because of my weight, so I decided to take on a new exercise regimen, new eating habits and all that stuff,” says Nalls, a lifelong resident of the Chicago area. She lost 40 pounds. “But as I was losing weight and getting more fit, I was having some lower back pain,” she says. Originally her doctor thought it might be arthritis in her spine. She was given a prescription pain medication, but the pain kept getting worse. As a young woman, Nalls had had endometriosis, and her OB-GYN had been monitoring a uterine polyp. So when nothing else seemed to work, Nalls made an appointment with her OB-GYN. An ultrasound revealed a mass in her bladder. “Never did I really think it would be a possibility,” Nalls says. In her early post-diagnosis days, Nalls spent a lot of time researching bladder cancer. She found out that smoking is the number one cause of bladder cancer. That news that helped her quit cold turkey. She also found out that she wasn’t alone. In fact, she was far from it. Bladder cancer is the fifth most common cancer in the U.S. and causes more than 16,000 deaths each year. “It is a common cancer, but if you ask 100 people, nobody will know anything about it,” says Gary D. Steinberg, MD, a professor and the director of Urologic Oncology at the University of Chicago Medical Center. 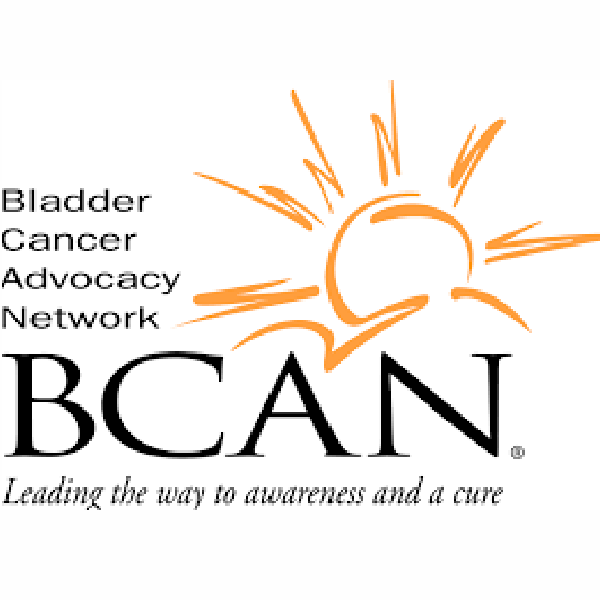 That’s an issue the Bladder Cancer Advocacy Network (BCAN) has been working on since its founding in 2005. The Maryland-based organization funds bladder cancer research and patient education campaigns, in addition to providing patient support and holding an annual fundraising walk. McNamara said one reason for the low public awareness is that the cancer affects an area of the body people don’t usually like to talk about. “It’s the bladder—people maybe are not comfortable talking about it,” he says. “There are incontinence issues associated with it that might make people uncomfortable. Unlike some of the other cancers that might strike people when they’re young, bladder cancer has traditionally been a disease of the very elderly.” In fact, Steinberg said the average age for a bladder cancer diagnosis is 73. However, as Nalls and McNamara demonstrate, some bladder cancer patients are much younger. McNamara was 55 when he occasionally started to notice blood in his urine. “Typically it would occur after a round of intense exercise—jogging, stuff like that—and I would pee blood for maybe five seconds and it’s hard not to notice that,” McNamara says. “I finally went to my doctor, who sent me to a urologist, who did a series of tests and diagnosed that I had a tumor in my bladder.” McNamara being referred to a urologist is an important point. Steinberg said many warning signs of bladder cancer aren’t initially treated seriously. “What happens all too often is a patient in their 70s will have blood in their urine, call a doctor, and be told, ‘here’s an antibiotic,’” Steinberg says. If the blood is due to a bladder infection, the drug will likely resolve the matter. But if the blood is due to bladder cancer, it will persist. Meanwhile, the patient will go months without proper treatment. “All too often, there is a significant delay in just the recognition that maybe it’s not an infection,” Steinberg says. In addition to funding more research, McNamara said BCAN is also focused on reaching out to physicians to ensure they’re up-to-date and on the lookout for potential bladder cancer patients. Steinberg, meanwhile, says he advises bladder cancer patients to immediately get in touch with BCAN, which publishes multiple resources, including a booklet for newly diagnosed patients. The information can help patients make tough decisions that often must be made quickly. For those with advanced bladder cancer, removal of the bladder may be the best option. In an increasing number of cases, surgeons can reconstruct the urinary tract using the small intestine. Steinberg performed the neobladder reconstruction procedure on Nalls. Though she began exercising before her diagnosis, Nalls says she feels blessed and grateful that she changed her lifestyle when she did.